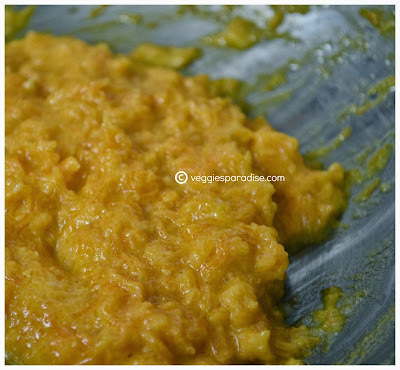 Carrot Halwa - This is a classical and one of the most popular halwa recipes of India, made during festival occasions. 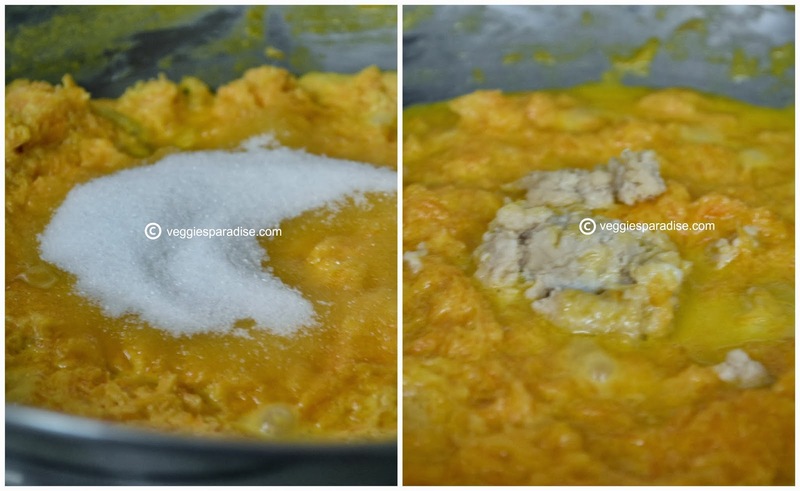 There are quite a few other versions in preparing this Halwa, whatever be the method the main ingredients are freshly grated carrots, milk, sugar and ghee. In my version along with the main ingredients I am using unsweetened khoya. Khoya is nothing but dried milk, which is the basis of many famous Indian sweets. Now to the process,heat a tablespoon of ghee in a heavy bottomed pan, fry the cashewnuts slighlty,remove and keep it aside. 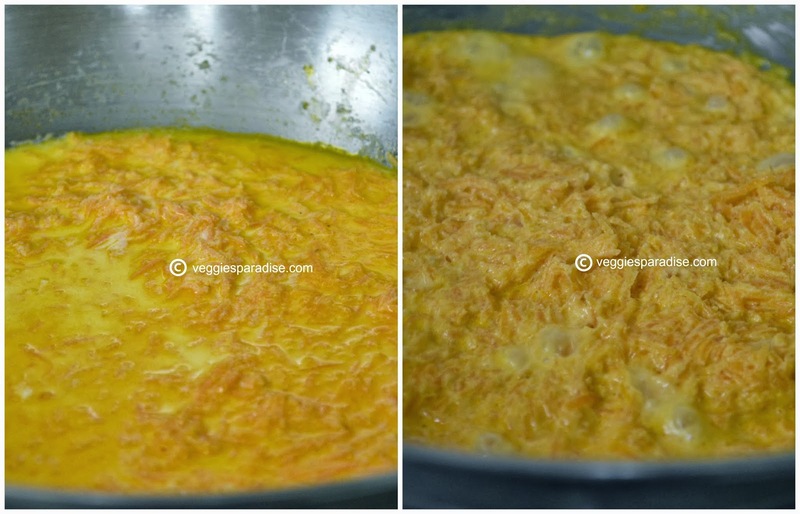 In the same pan add the remaining ghee and fry the grated carrots, stirring occasionally to prevent them from sticking.When they turn translucent , pour in the milk, reduce the heat and cook until the carrots are mushy and the milk has been soaked up.Add the sugar, mix it gently. Add the khoya and stir it until well blended. 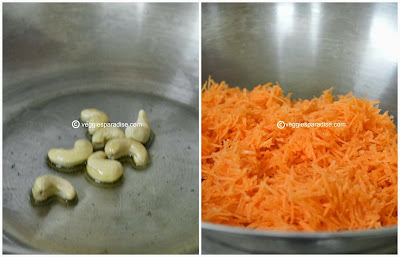 When the Halwa starts leaving the sides of the pan, remove from heat and garnish with nuts. If needed you can also garnish with blanched and chopped Badam and pista. Serve it warm or cold, in both ways they taste well. If needed you can have it with vanilla ice cream. Heat a tablespoon of ghee in a heavy bottomed pan, fry the cashewnuts until golden brown, remove and keep it aside. In the same pan add the remaining ghee and fry the grated carrots, stirring occasionally to prevent them from sticking. When they turn translucent , pour in the milk, reduce the heat and cook until the carrots are mushy and the milk has been soaked up. Add the sugar, mix it gently. Add the khoya and stir it until well blended. Continue to cook for few more minutes, until the halwa starts to leave the sides of the pan remove from heat. 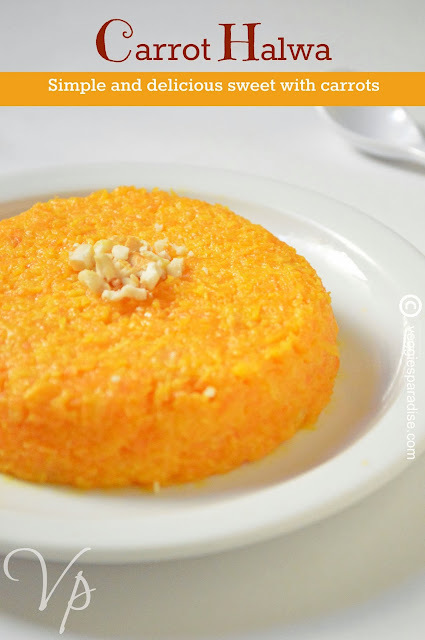 Delicious carrot halwa is ready to be served. Serve it warm or cold decorated with the nuts. 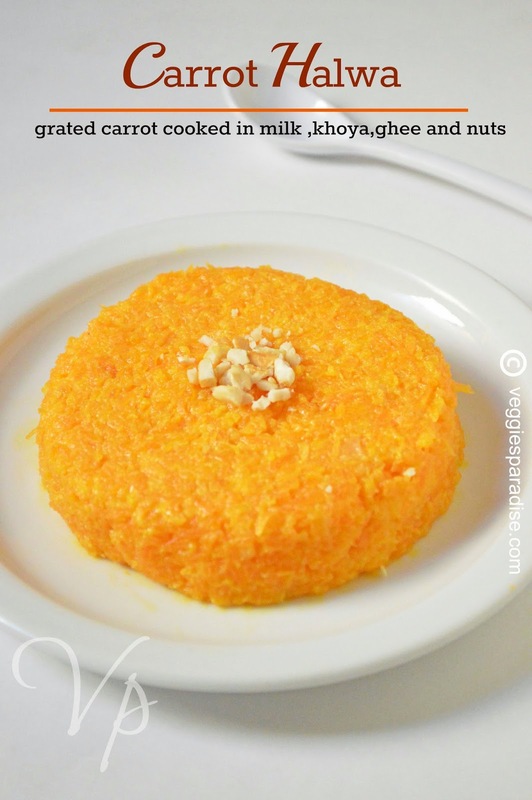 wow..so delicious and tempting carrot halwa, love its vibrant color! Looks too good !! One of my favorites perfectly done !! looks so tempting, luv the bright orange color. Bright, vibrant and tempting halwa.. Love to have this for dessert.. Carrot halwa looks so inviting. Carrot looks very delicious and tempting clicks. I like your well explained recipes and happy to follow your site. Do visit mine when you are free.